Breathtakingly beautiful rich blue floral print sarong that you'll never tire of. 100% Rayon. Traditional sarong cut. 43" long by 72" across. 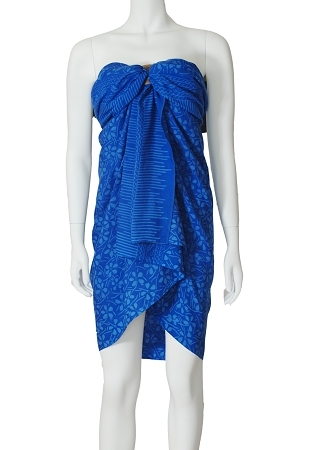 Can be easily worn as half or full sarong. One size fits all (sizes 0 - 14). Coconut buckle for more wrapping options included while supplies last.